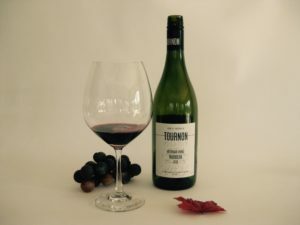 At 13.5% alcohol, and owned by France’s Michel Chapoutier of Rhone Valley fame, the 2010 Tournon Victorian Shiraz Mathieda scored 16+ points on the Dionysian scale of a possible 20; a high silver medal wine. The Tournon comes from Victoria in Australia, and like his French examples, the label is in brail. It was filled with blackberry, spices and pepper notes. The Shiraz was full bodied ,and at 8 years old, it’s coming into its own. It will age another decade. The wine is named for Chapoutier’s daughter Mathieda. This is a wine with enough complexity and flavor to entice anyone. I’ve never had a bad wine from Michel Chapoutier and I’m happy to see him expanding to other countries. In Vino Veritas.